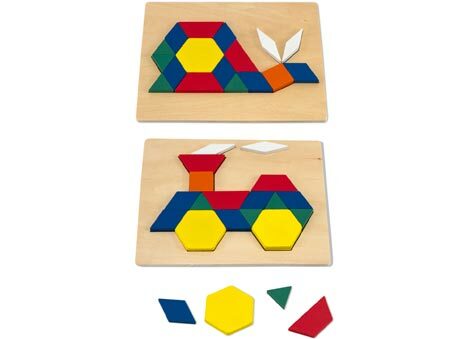 Matching and mosaic fun with Melissa & Doug Wooden Pattern Blocks and Boards! 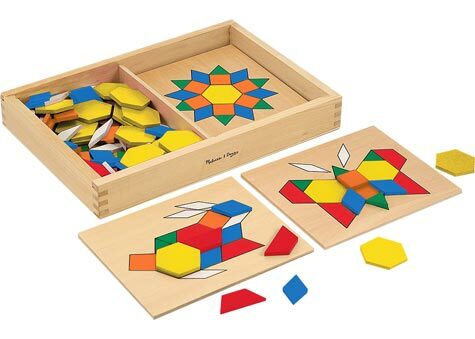 120 brightly coloured, wooden geometric shapes to match ten designs on five reversible boards. 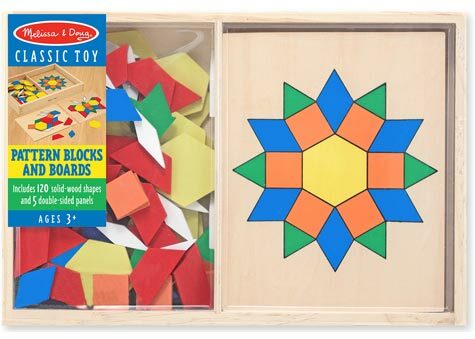 Melissa & Doug wooden pattern blocks are a gorgeous way to develop fine motor skills. 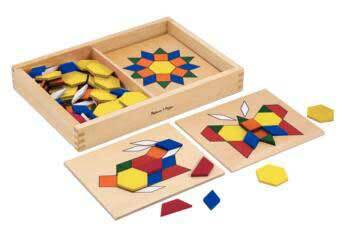 Box measures 32 x 22 x 5cm. 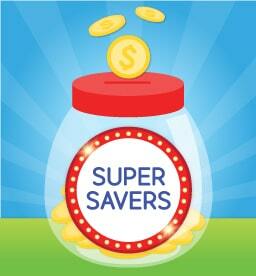 Age: 3+ years.